Well, I don't gamble so you may be wondering how I managed to win the lottery, right? I won the Mother-in-Law lottery. I have heard lots of moaning, upset and strife over MIL's lately and it seems every where I turn one of my friends is having troubles or horror stories of a gathering that has gone wrong because of the dreaded MIL. I TOTALLY won the MIL lottery. I think of my MIL Denise as one of my best friends. I love her to death and thank my lucky stars she was given to me as part of this whole marriage dealio. She is the coolest and even though she doesn't comment on my blog...she is always looking at it and emailing me about it and giving her support and love. I KNOW!!! So sweet huh? So~ I hosted my family this year for Christmas and she knew how stressful it would be and so she sent me this ( for no reason other than she is awesome) so I could relax and feel better after all the hard work. Uh- Hello!!! Can she be any nicer??? No- I declare that she could not. Those are handmade soaps by the way. Don't they look like beautiful chocolates? She was strolling through Covent Garden she found these for me. 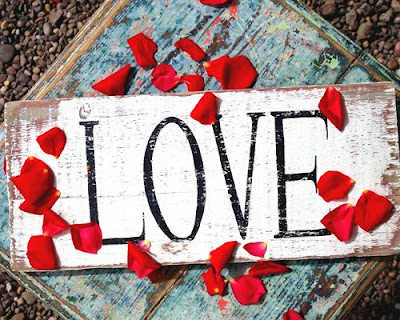 So I just want to restore hope to some of my readers that you can have a wonderful MIL. So Denise~ I LOVE YOU, thanks for having Daniel so I could marry him and meet you and you get the picture!! Now everyone say hi to my cute English MIL and don't be jealous, though I know you all will be. My MIL is awesome too. In fact, I have a better relationship with her than my own mom. Your MIL is great! Oh my goodness, oh my goodness. Can I just smack you right now!!!!!! You just spoiled my post for the day. She sounds absolutely thoughtful! Can I adopt her as my MIL? ;) Anyway, hi Emily's MIL! Crash-You can smack me. I expect that reaction :) Everyone dies when I say how much I love my MIL. Alyson-I am so sorry. It would be very hard to struggle with that relationship. YOu will be a great MIL because you will know all the things not to do ..hehe. How something that looks that delicious be soap? I might not mind having my mouth washed out with that. I also am blessed with a wonderful mother in law. Lucky! I could tell you stories! Soap...that looks like art! So fun! Sadly my MIL passed away after only 2 1/2 yrs of marriage to my hubby. She was an amazing lady! Each child thought that they were the favorite child! How awesome is that? Her presence in our boys' lives is greatly missed. What a beautifully written post and how lovely for you that you have such a good relationship with your MIL. I can guess that she feels the same way about you! 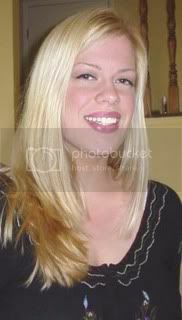 Denise IS so wonderful...every woman should give her eye teeth for a MIL like her. Too bad there aren't more Denise's in the world. My MIL came over and helped me pack boxes all day today. I'm a lucky one too. What a beautiful gift those soaps are!!!! My goodness! And I LOVE the wrapping job. So organic and earthy. HOW sweet! I am soon to become a MIL. I love her (my son's intended), so that HELPS a lot! Any tips from you or your followers? I've learned what NOT to do by observation and personal experience, but what TO do... now there's a question! 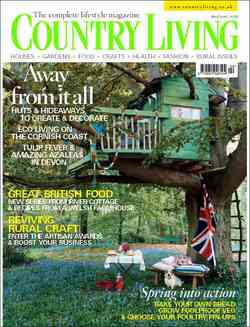 Oh yes, and I love the British version of Country Living too! You lucky girl!